Now is the Start – I am Bonnie B.
I feel that familiar “I’m such a failure at blogging” feeling as I just looked at my last post from OCTOBER 2014. Granted, there has been tragedy and upheaval and sadness and joy and stress and traveling all stuffed into this 5 month silence. There is a giant lump in my throat as I try to type words about losing both my paternal grandparents 49 days apart. The holidays were tough and joyful and fun and somber all at the same time. We just bought our first house, and I’m literally having regular nightmares about it. My little brother recently got married to his perfect match, and I smile and laugh out loud as I edit those photos. Our little Emmaline Jane is growing and talking and learning and defying the odds every day. YOU GUYS, SHE IS SO HEALTHY! There are more words to say about her, and I am working on writing our story. She needs me to write it, and every day I become more sure that God wants us to be very vulnerable and share the story he wrote for us. 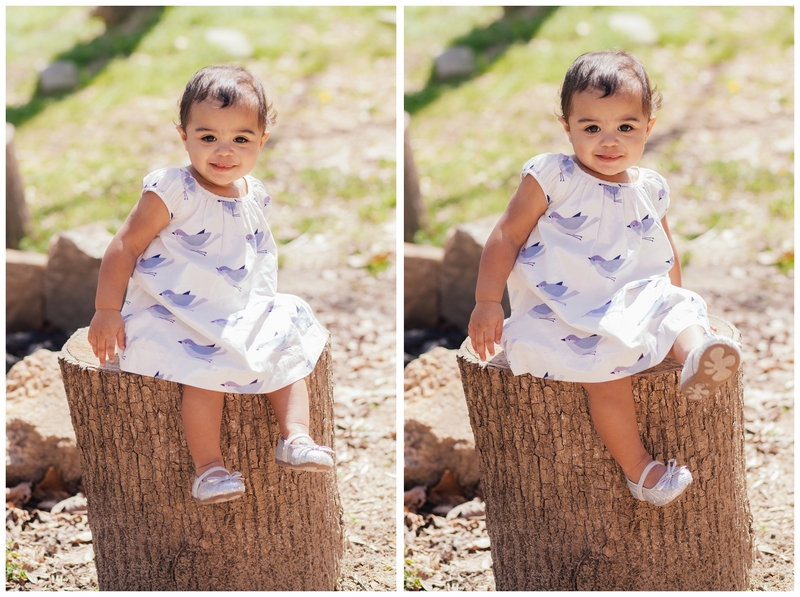 The photos above are from Easter Sunday, and like every other poor child in the Southern United States….she was forced to take photos outside instead of being allowed to eat and take a nap. It’s a long and glorious tradition. Look at those curls! We didn’t know they existed until the good old North Carolina humidity set in last week. The dress kills me, and she loves her disco shoes and the way they throw sparkles on everything. She’s a mess. I love every bit of her. I opened an Etsy shop, and I’m still doing sessions and weddings and events! Running a small business and taking care of a family is a hard balancing act, and I’m ok with working less and pouring energy and creativity and love into fewer sessions and events. Many of the people already on the calendar for 2015 are those who have stayed with me for years! I love getting calls and emails and texts from clients who have become friends. They are the heart of Bonnie B. Photography and I could not stay at home and watch my little girl grow up without their loyalty and support. It’s an honor to watch their children grow up, to document their memories, and to be a tiny part of their family history. I’m dreaming up new ideas and projects! The need for foster families and adoptive families in the US is so great, and I’m looking for ways to advocate and share and hopefully use my words and any influence I have to encourage families to bring home these sons and daughters. I’m also hoping to branch out and help families preserve their memories by offering a photo archiving service. It’s hearbreaking to sort through a loved one’s belongings and find photos that we will never know the story behind. I would love to help families tell those stories, preserve them, and have a family narrative to treasure and read and look at and show to their children and grandchildren. Well, that is a random assortment of what I have been up to! How about a song? This song is one of my favorites from A Fine Frenzy. The lyrics are all about a fresh start and renewal and pushing forward. I love the line that says “Unafraid you can name your scars.” You can watch the video if you want! Thanks for being a pal and reading all this.